Thank you for a great Halloween! 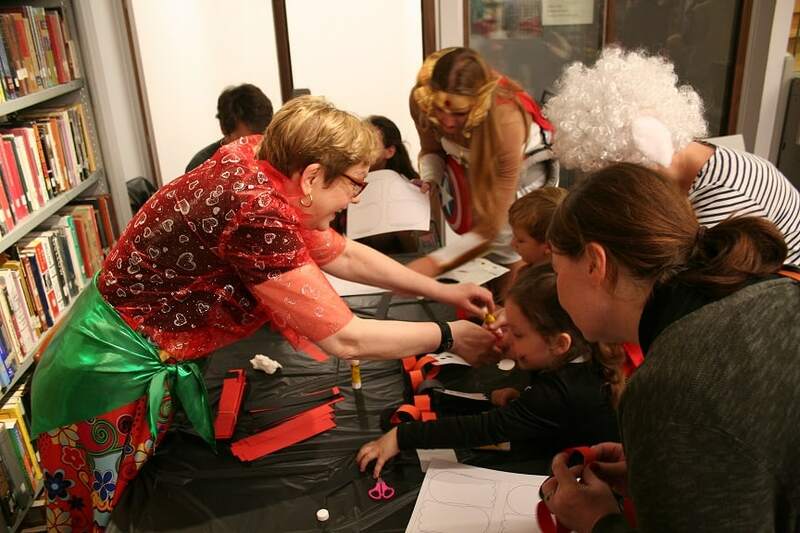 This year the Library welcomed hundreds of guests for our annual Halloween Extravaganza on 29 October! Eric the Magician and Jean O’Sullivan performed at our children’s parties during the day, treating us to special festival shows. At dusk, the Library once again turned into the Haunted Library, with a cast of over 20 volunteers acting out the roles of creepy literary characters as guests were led through the stacks on candlelit tours. We frightened a few people, we made some people laugh, and we hope everyone who attended had a wonderful Halloween! 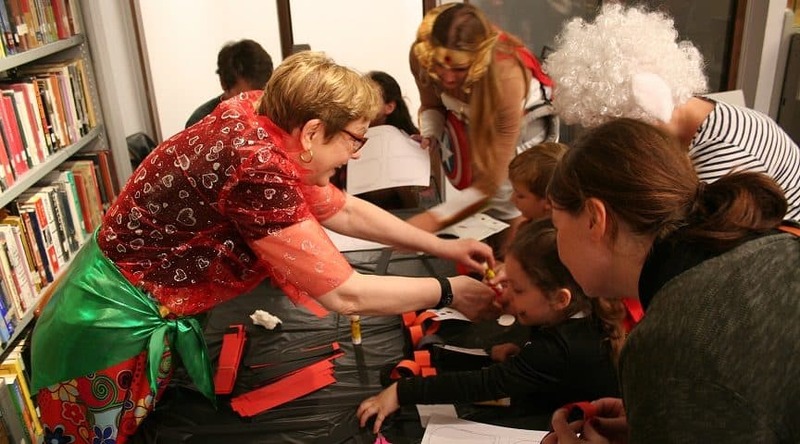 We can’t thank our volunteers enough for helping to make the Halloween Extravaganza possible and for dedicating their time, talents, and energy to the event! A big thanks to Starbucks Saint Dominique for the coffee and tea, and to the neighborhood businesses who opened their doors to trick-or-treaters: Le Cairn, Magda Traiteur, the American University of Paris Library, L’Howea Fleurs, Salon Séguier, By Matao, Le Champ des Délices, Pharmacie du Champ de Mars, Le Café de Mars, and Babao Bubble Tea! Thanks again to everyone who participated in this event, and to everyone who helped to make it possible! Check out the Library Flickr and Instagram for more Halloween photos!